Dovetail joints are beautiful and strong, but not always practical. A box joint is a simpler alternative to the dovetail joint. 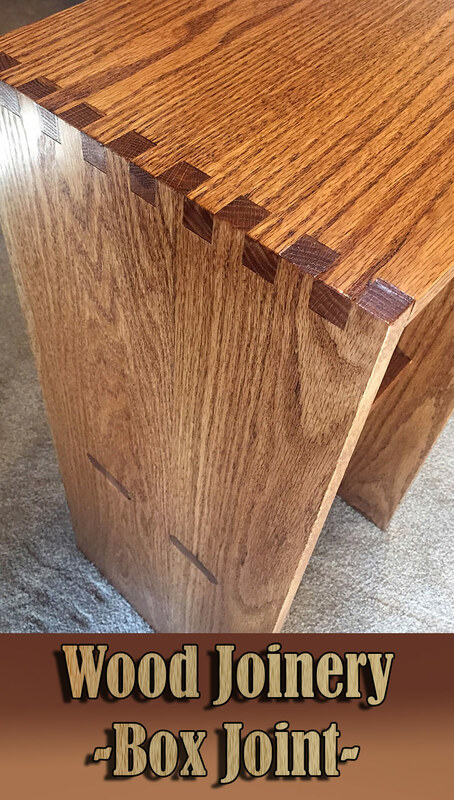 The dovetail joint is a classic, beautiful & strong method for connecting two pieces of stock. However, there are times where the dovetail wouldn’t be the best choice. 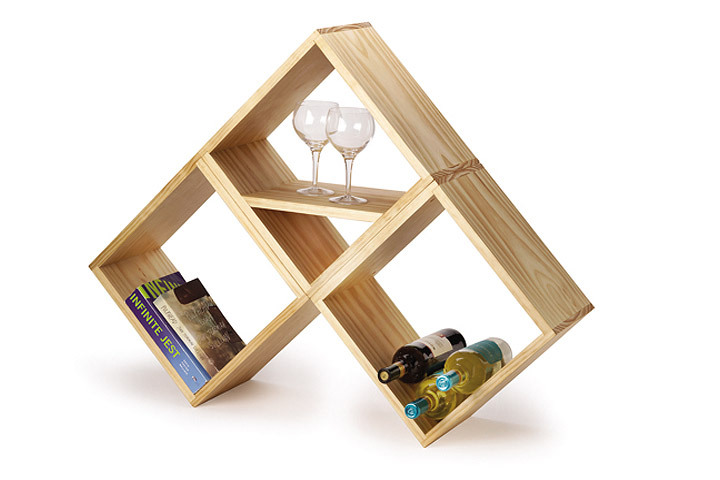 For instance, what if you need to connect two pieces of plywood as opposed to hardwood? 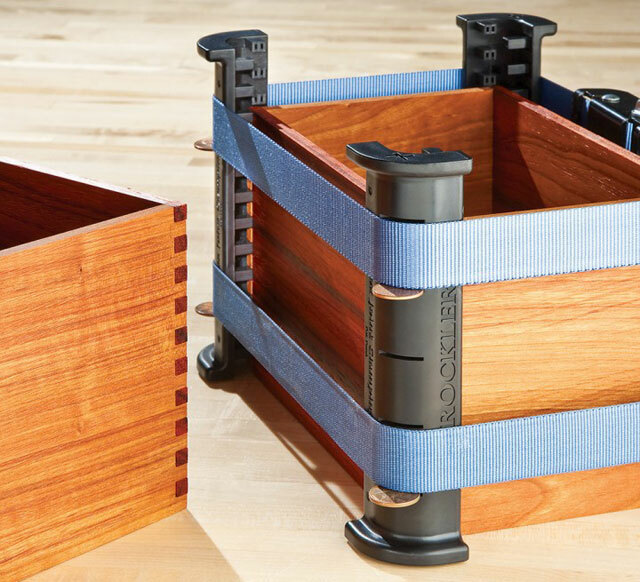 Using dovetails to connect plywood would considerably increase the chances of delaminating the plywood when testing the joint while dry fitting. What if you didn’t have access to a dovetail jig and a router? Or perhaps you didn’t want to go to the trouble of hand-sawing dovetails? 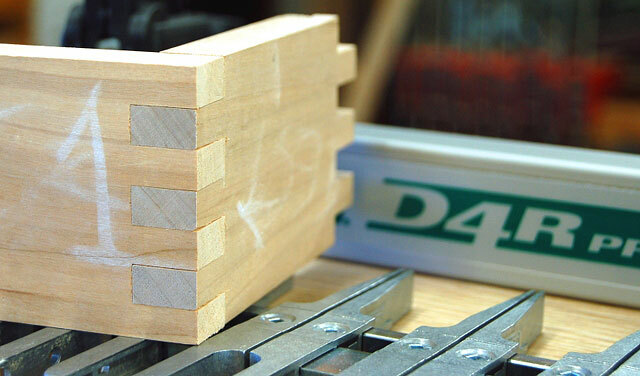 Is there another option other than dovetails to use in your woodworking projects? Absolutely. 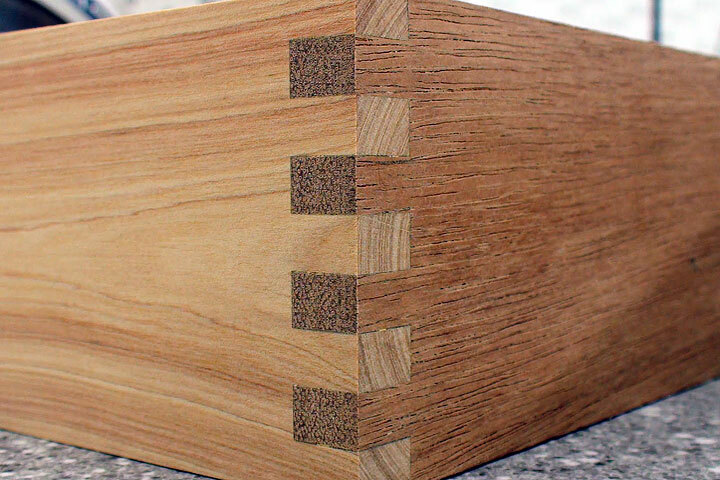 A very simple alternative to the dovetail is called the box joint. As you can see from the image, a box joint is very similar to a dovetail, with the difference being that the fingers in the box joint are rectangular rather than dovetail shaped. There are a few ways to cut box joints. Of course, you could always do it with a dovetail saw and chisel. Simply pick a width for the fingers that will divide evenly into the width of the stock. In other words, if your stock is six inches wide, a half-inch wide finger would allow for twelve fingers total, six on each piece of stock. If you don’t want to cut the fingers by hand, there are two ways to machine them. First, nearly all dovetail jigs can cut box joints. 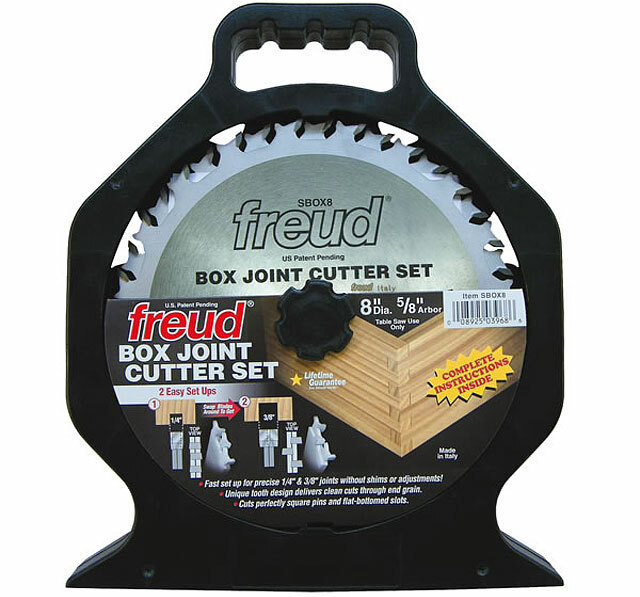 While you should check the documentation that accompanies your jig for the exact instructions, the setup is basically just like cutting the tails of a dovetail joint except that the bit would be a straight-cutting bit rather than a dovetail bit. An even simpler method is to use a box joint jig on your table saw with a stacked dado set. Determine the width of each finger, then set up the stacked dado set to that width. Set the depth of cut to the same height as the thickness of the stock. Now that you have the jig made, grab one of the work pieces and place it on end, firmly against the scrap and up against the little guide you attached to the notch in the scrap. Hold the stock tightly against the scrap piece and run it through the saw. Once it clears the blade, slide the entire assembly back through the blade, taking care to hold the work piece tightly against the scrap. You have just cut the first finger and notch, precisely at the proper width. Now, with the gauge and work piece well clear of the blade, move the work piece to the right and slip the newly cut notch over the little guide piece. 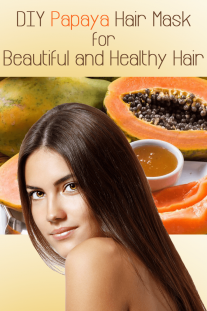 Hold the stock firmly against the scrap and cut the next notch in the same manner as you cut the first. Continue cutting notches until all of the fingers of the work piece have been formed. The opposing work piece is cut in a similar manner, except that the first cut is not made with the stock up against the guide. Instead, the outside edge of this piece should be flush with the outside edge of the dado blade. This can be easily positioned by lining up the outside edge of the work piece with the edge of the notch in the scrap. Once it is lined up, make the first cut, then proceed using the guide as noted above. To assemble box joints, simply apply a thin layer of glue on all joint surfaces and slip the joint together and clamp as needed. 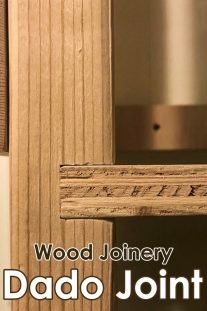 This type of joinery works fine for making box-like structures such as drawers. However, you’ll need to be a bit more diligent about keeping the box square when clamping than you might need to with dovetails.